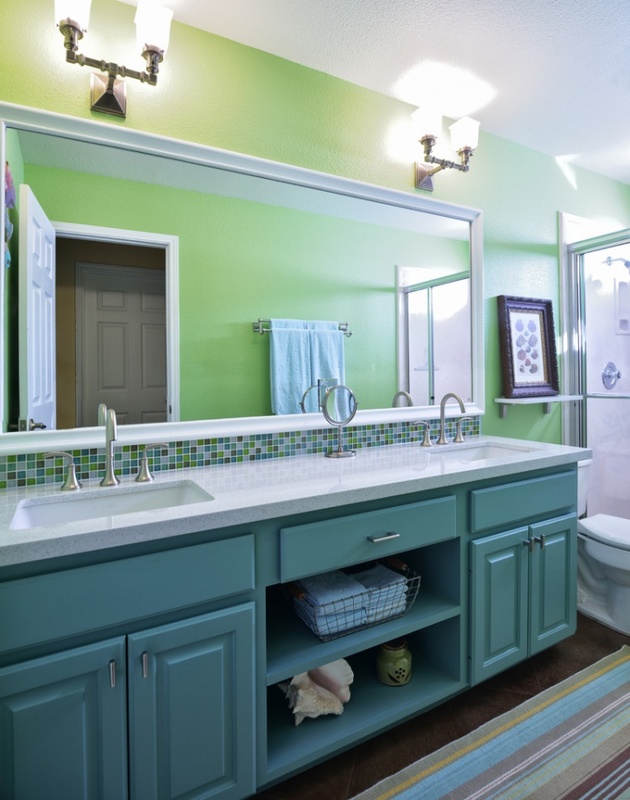 Green is considered as a colour of youthfulness and rejuvenation and is soothing to our eyes when it comes to apparels and home decor. 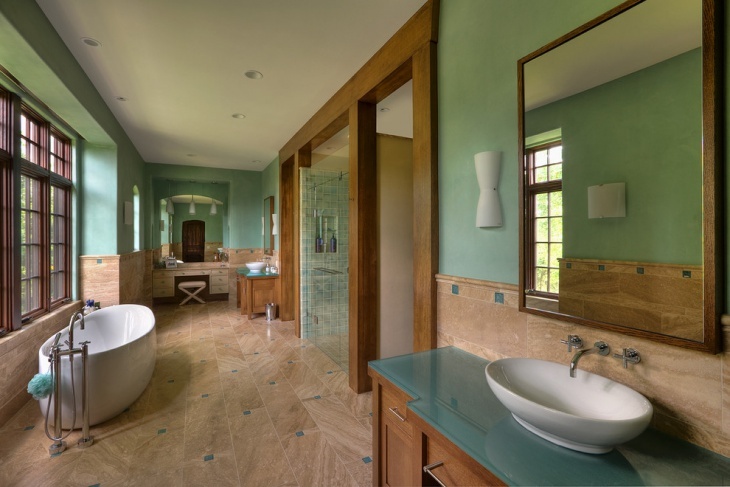 Particularly, the colour green renders a vintage gaze to your bathing area as it has been used since old times for painting the interior of a house. 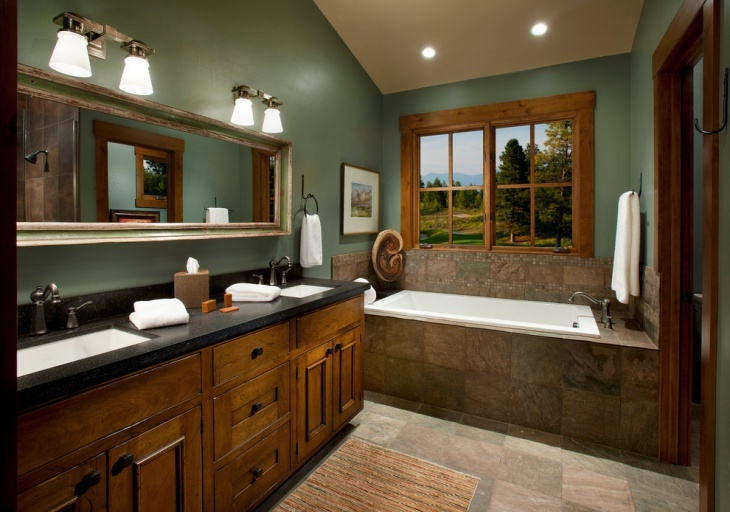 You can add tad bit of antique effect if you accommodate fixtures corresponding to the background of your bathroom. 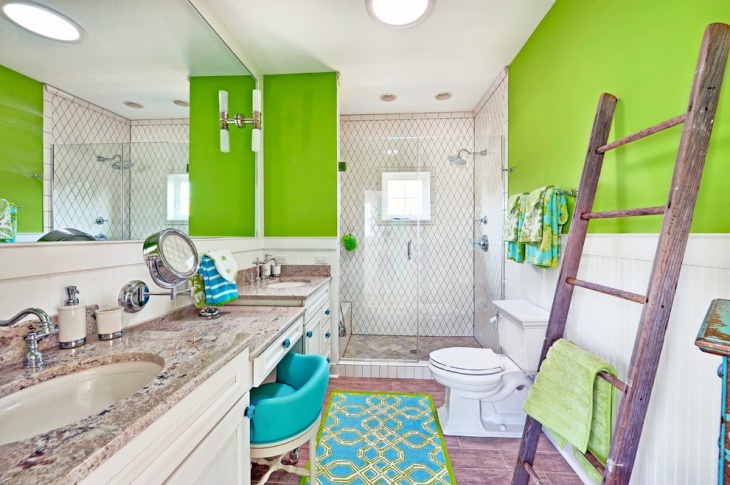 If you are living in an undersized apartment where the rooms are not spacious, green is a commonly chosen palette which gives you a refreshing mood as you enter your habitat. 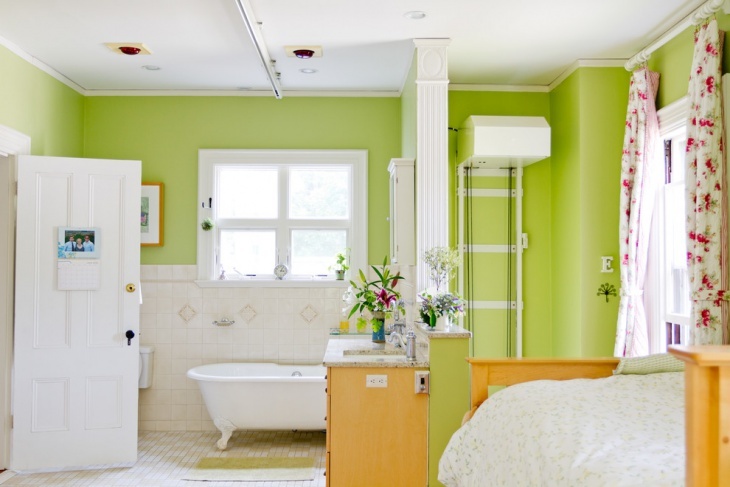 Even if the other parts of your house are painted in different colours, you can paint your bathing area green to make it look rejuvenating as you enter the place. 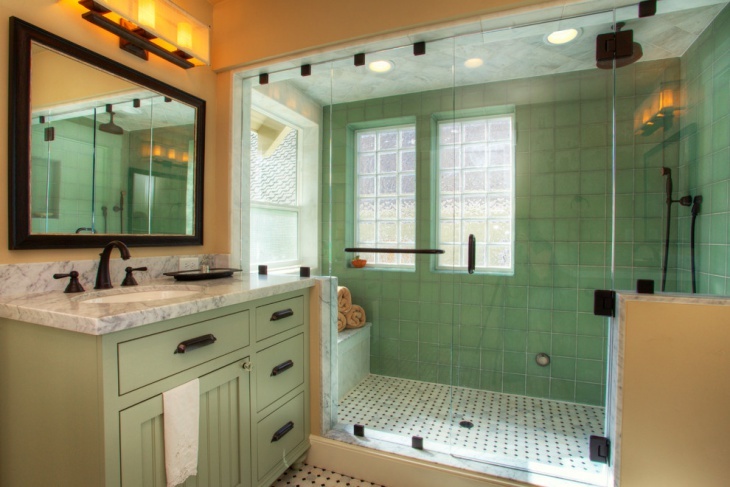 Through various techniques, you can bring fascinating changes in your bathroom without spending much on furnishing. 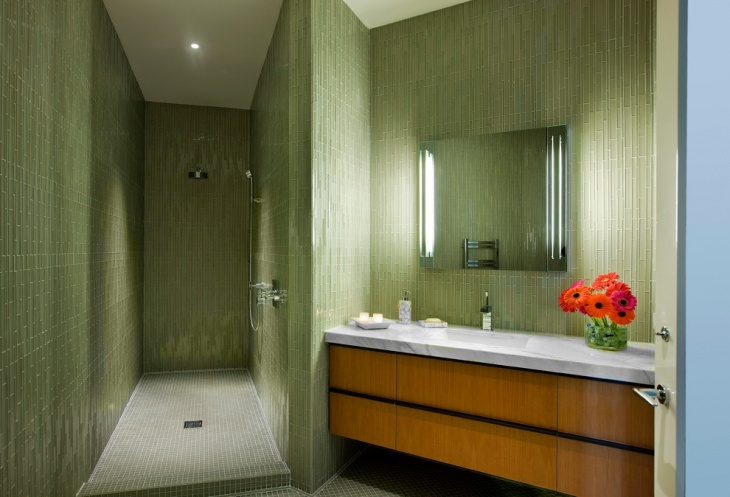 Lighting is an essential part of home décor as it makes an impact on the visual size of a room. 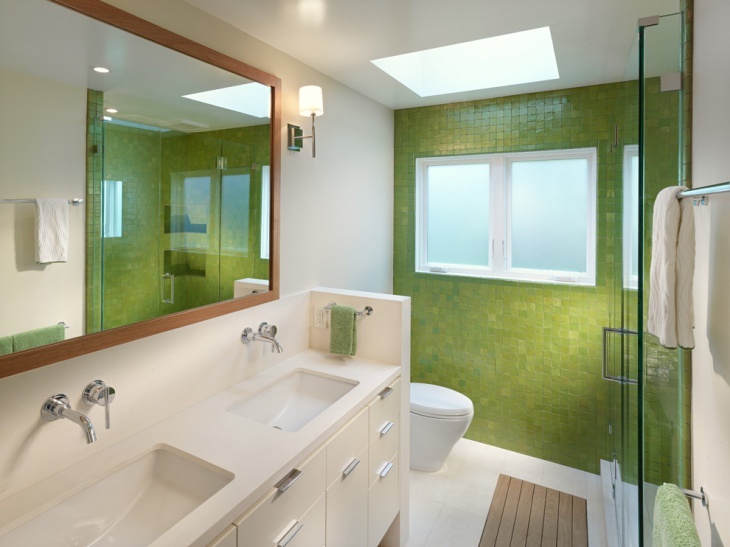 If you are lucky to have a big skylight, ensure sufficient circulation of natural light inside your bathroom. 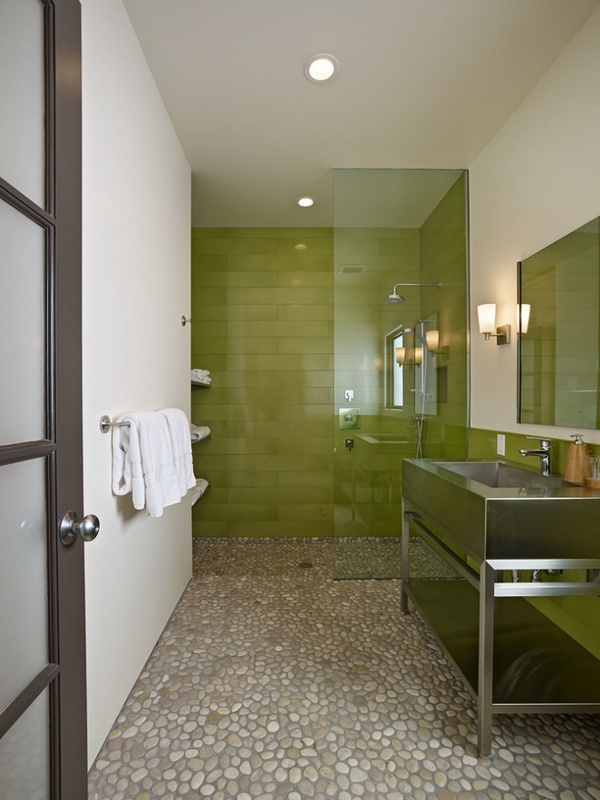 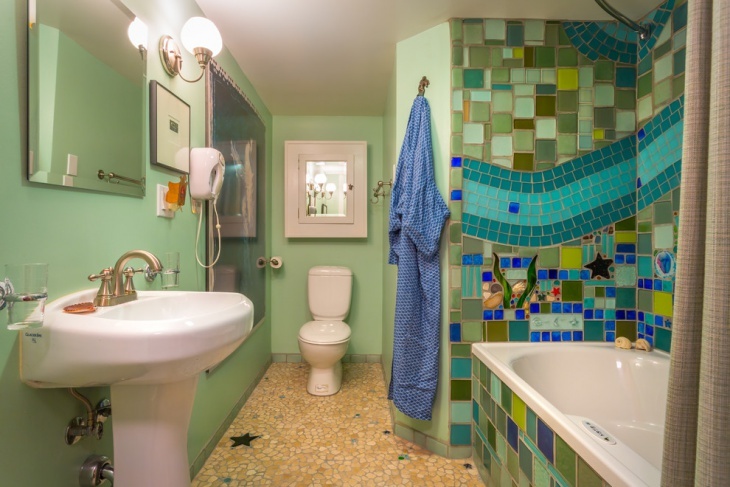 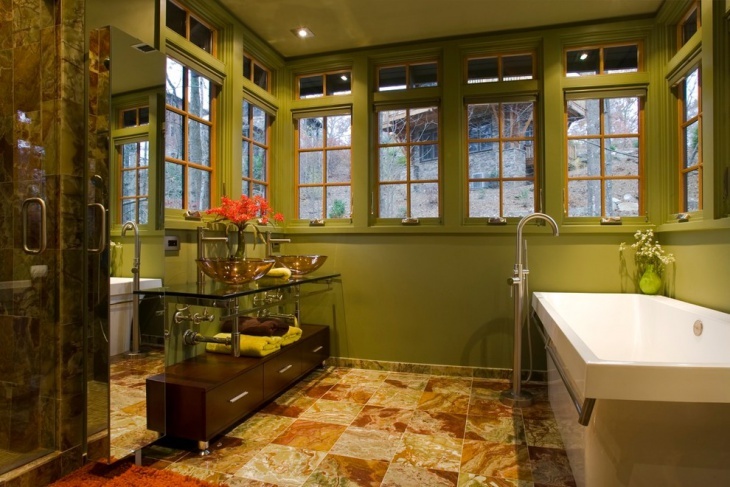 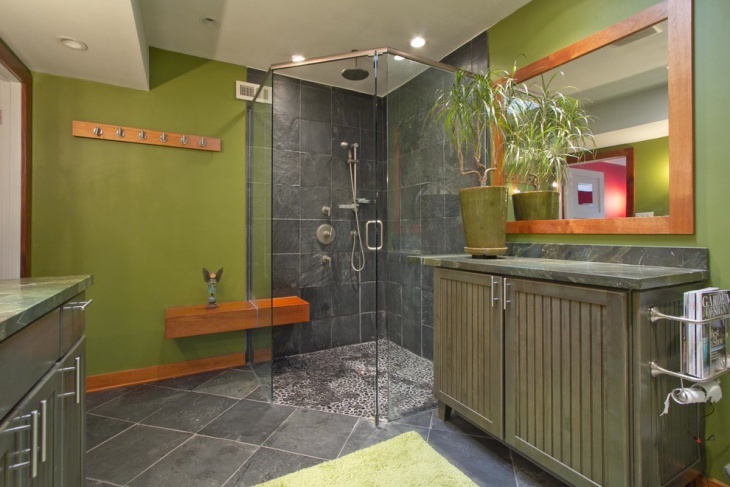 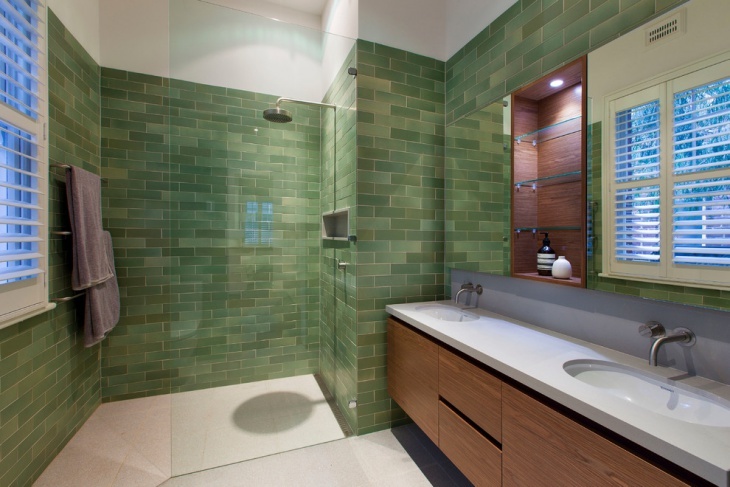 Using various shades of green will help you create a visual partition between the bathing area and toilet. 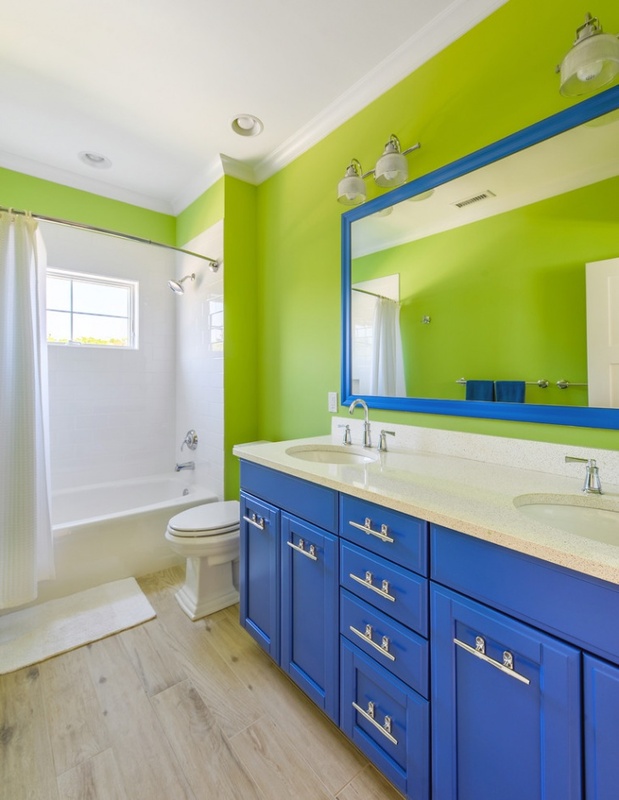 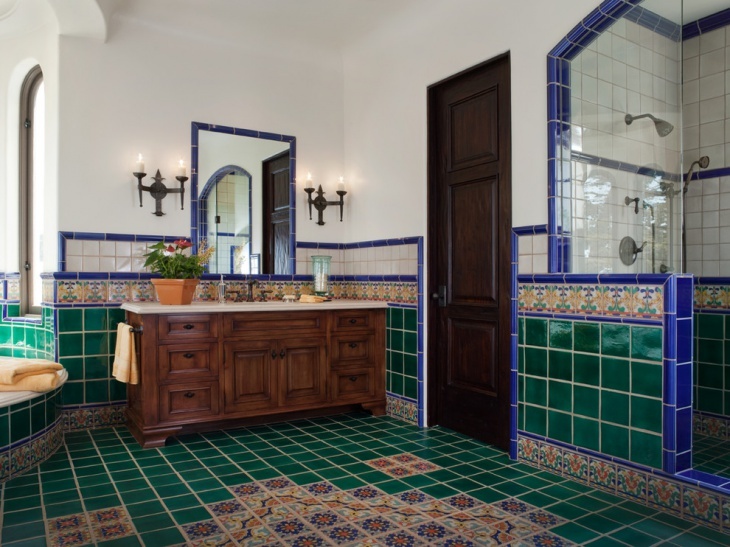 To get best ideas about furnishing and fixtures inside your green bathroom, it is advisable to consult an interior decorator who can save unnecessary drainage of your hard-earned money, while give you various options from which you can select the best.